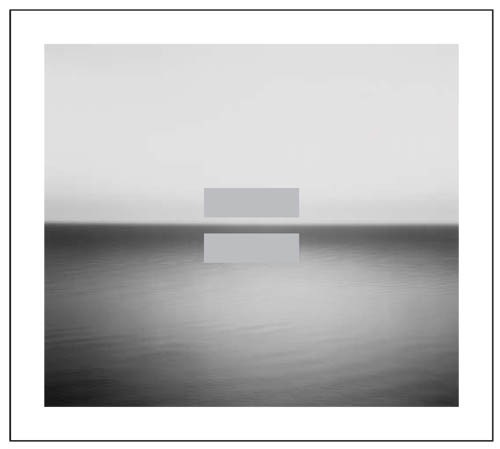 I am eager to know what critics will say after listening to their new album “No Line On The Horizon”. I think that the song “No Line On The Horizon” was just meant to be an intro song for U2’s twelfth album…light and easy going…a kind of song that prepares you for the whole mood of that new release…marked by the strange way of stretching the word “hora- ye- zen”…at times it felt an intro that went too long…and at the end it felt that it was abruptly cut from its neck…why...due to the fact that the melody took us to a direction we thought it will lead...tata...surprise! Confident drums…edgy guitar in the background…clapping with a catchy melody…this is U2 we know…”Magnificant”…one of the best songs in this album…reminds me of “New Year’s Day”…especially when Bono sings the line “Justify,till we die, you and I , will magnify “…and when the weeping cello-like sound comes around minute 4:00 which gives the song a good eerie feel. The band went back to the safe side with “Moment of Surrender”…adding strange stereo clipping…and Bono’s voice getting dirtier…pushing it to the limit…asking “if love believes in me”…with chorus singing along…and beautiful chilly Santana-like electric guitar playing…this is indeed the “One” for “No Line On The Horizon”. “Unkown Caller” is definitely a winner track for upcoming concerts…I can imagine the crowd shouting with U2 ”GO, SHOUT IT OUT, RISE UP ….OH OH OH OH”…”RESTART , AND REBOOT YOURSELF, YOU’R FREE TO GO , PASSWORD, YOU , ENTER HERE, RIGHT NOW , YOU KNOW YOUR NAME , SO PUNCH IT IN , SHUSH NOW “…a masterfully written and produced track that shows how unique U2 are…still fresh and young. U2ish song…so can the song ”I’ll Go Crazy If I Don’t Crazy Tonight” be called…very 'American'…ballad rock…romantic…nice to hear…but normal…nothing new from U2. And then comes one of the worst songs of the Album…”Get On Your Boots”… a wrong track that went to become a disaster after being released as their first single…boring rhythm deep words are not enough to make a track a hit…a track that underlines the fact that men have done enough catastrophe all around the world…wars…hunger…etc etc…so now is the time to give the power to women…the only moment the track gets interesting is when Bono repeats “Let me in the sound , sound “…yeah man…rock me…sorry Bono…this is a mistake…a flop…a track that is like a knife of distraction from the main theme of the album. And the boredom continues with “Stand Up Comedy”…this is a filling song folk…I don’t have anything to say here than asking where Eno was at the time they recorded this rubbish. “FEZ-Being Born” started mysterious with Bono again humming “Let me in the sound”…atmospheric pads…trance synths…strange composition…I felt they wanted to be more experimental like they did at the time of “Pop”…remember “MOFO”…but unfortunately failed to deliver something with this song…maybe because the melody was kind of weird…the third misstep in a row. Thank god there was the beautiful sweet “White As Snow”…a classic…slow guitar playing…wonderful lyrics…excellent singing…horn-like sound…reminds me of the 70’s…where is my girlfriend to dance with her…two thumbs up U2. “Breathe” was the track that should have been picked for the single…strong electric guitar alongside hyperactive piano…The Edge shining with his playing of perfection…not my favorite…but the best definition of U2 post 80’s and 90’s…to be honest...now I was desperately searching for a track like “Beautiful Day” or “Electrical Storm”. The final track “Cedars Of Lebanon “ is an example how good Bono can really sing…with his warm mesmerizing voice…experimenting again here and there with mastering effects…Brian Eno’s touch can also be felt in the second half of the song…it is an ok song…yeah…ok. I was a faithful fan of U2 since “The Unforgettable Fire”…and still am…”No Line On The Horizon” is good…but not great…I think I have put too much anticipation…too much hope that this could be their best album ever…knowing that they did not produce anything since 2004…well...the problem does not exist in U2 as a band…the problem exists because they did not change the producer…Brian Eno was so busy lately being responsible for famous bands like U2 and Coldplay…and to take your band to the next level you need a new environment…a new air...and a new brain…for creation and innovation. For the first time since "The Joshua Tree"...one can notice they had so much fun in doing this solid record...and this is enough. Am I so disappointed…not really…I saw that coming after seeing them perform in The Grammy…at least I have 4 good new tracks from my favorite old fella of U2 to enjoy. I loved the entire CD and have listened to it numerous times. I never tire of it. ..and I think "Boots" is an excellent jolt of unexpected energy right where it is needed. I do agree with you about Bono's warm and mesmerizing voice, though. Listening to the CD, to me, is like being taken on some incredible journey up and down, up and down while all the while having my ears caressed by Bono's warm voice and The Edge's Oh so U2ish guitar frets. I liked it too.But this was not "The Joshua Tree" or "The Unforgettable Fire" or even "Achtung Baby".Look, the album came out this year...so where is U2?Maybe the digital world is not their time.They need to be more active these days to survive. It's okay with me that is neither of those albums. It is U2 as U2 is now. They are human and like everyone they change over time. Their skills will change. They may become less energetic. After all they are all entering their fifties, right? So..I love them changes or not. They ALWAYS move me.